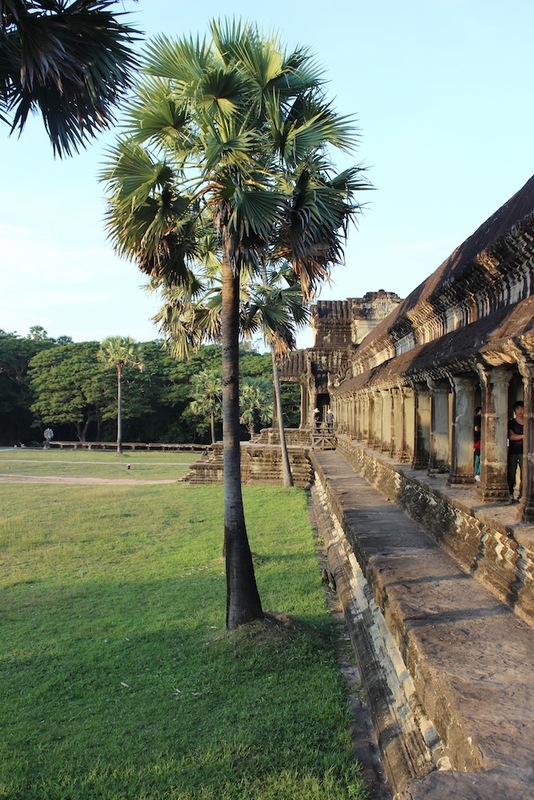 Angkor Wat - Was I Actually There? Looking back on these photos, I can't believe it was me at Angkor Wat - a place that I (and I'm sure all of us!) have dreamed of visiting since first obsessively reading history and geography books as a kid (was that just me?). I wrote in much greater detail about my experiences on National Geographic - and the problems facing this temple and all of Siem Riep as its popularity increases every year - but I wanted to share some more personal photos. I first went at sunrise with a group and guide - and aside from how jawdropping it was to watch the sun rise over Angkor Wat, it was a little disappointing. There were hordes of people. We were on a schedule to get to other temples and so I didn't get enough time. But instead of the tempting nap (because of the crazy early wake-up call to watch sunrise), I returned on my own later that afternoon, taking a tuk-tuk from Siem Riep, and it was everything I wanted it to be. No matter what, visiting Siem Riep, Angkor Wat, and the other (even more incredible) temples is a fulfillment of a long held travel dream. The term life-changing is often overused - was it life-changing? Yes and no. Whenever we see a place, we can't help but be altered. It is impossible to return home unchanged. And, in the end, I just can't believe I was there. I can't believe this is my work.